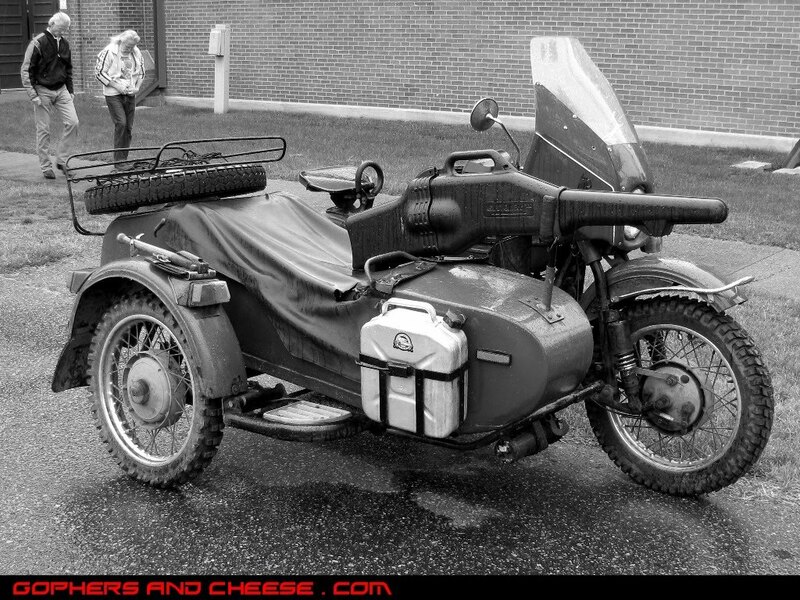 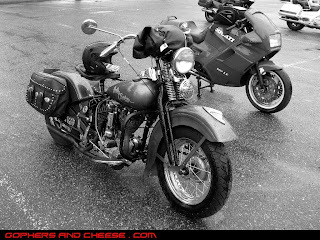 Thanks to Biker Blogs for the link! Here's a pair of Sportys with turtle tanks. The one in front is a 1967 Sportster XLH and the one behind it is a 1974 Sportster XLH. 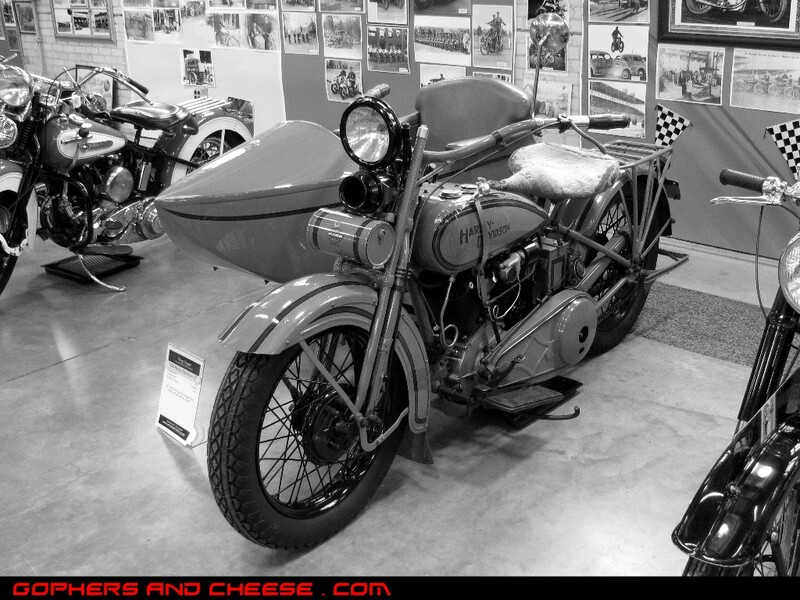 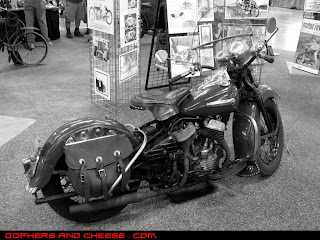 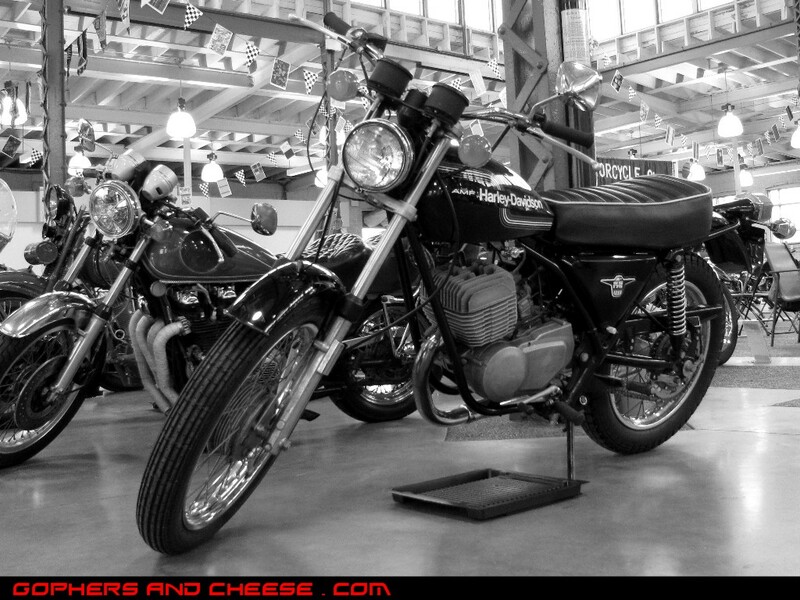 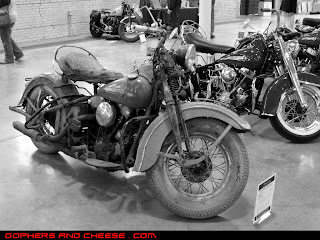 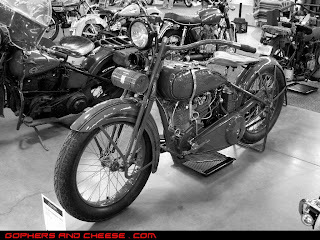 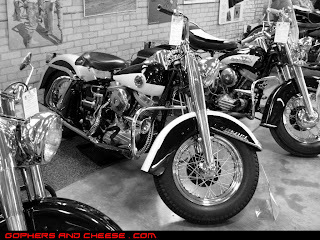 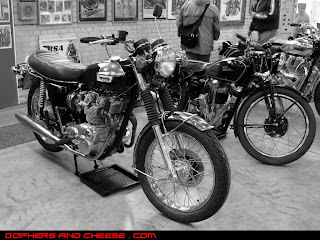 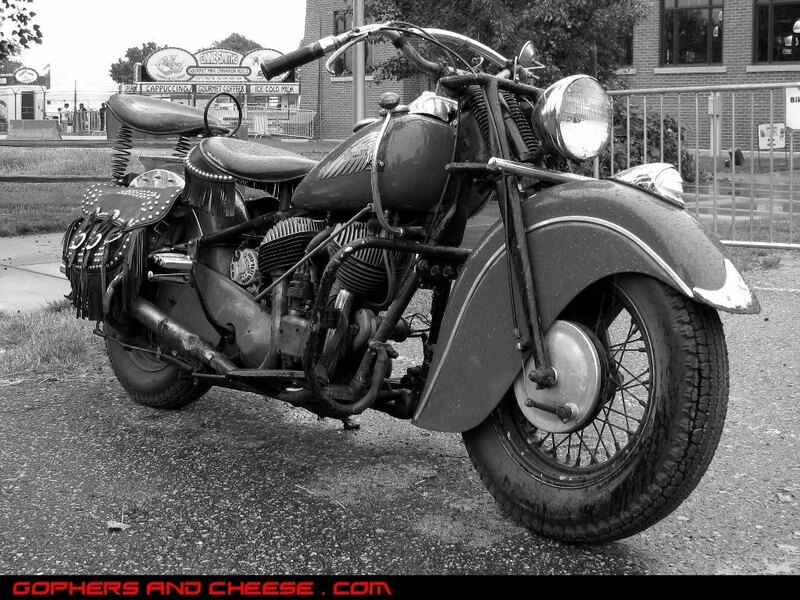 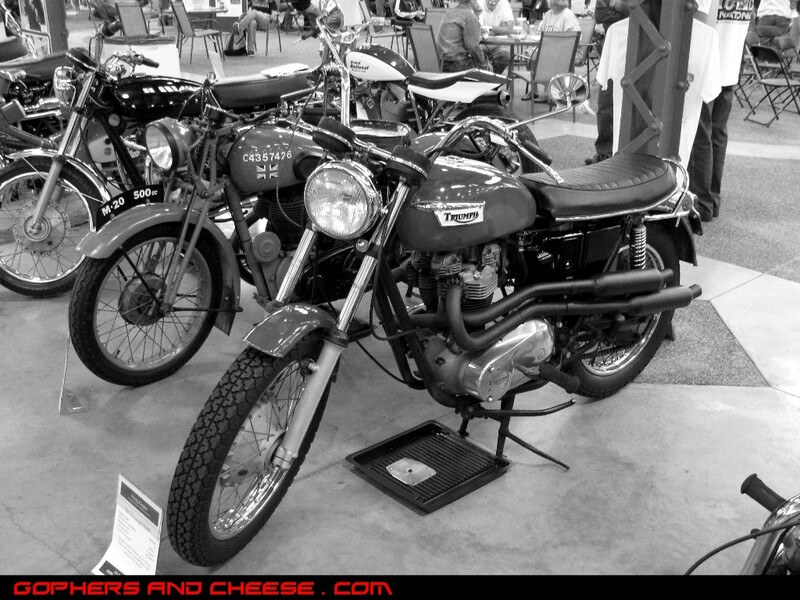 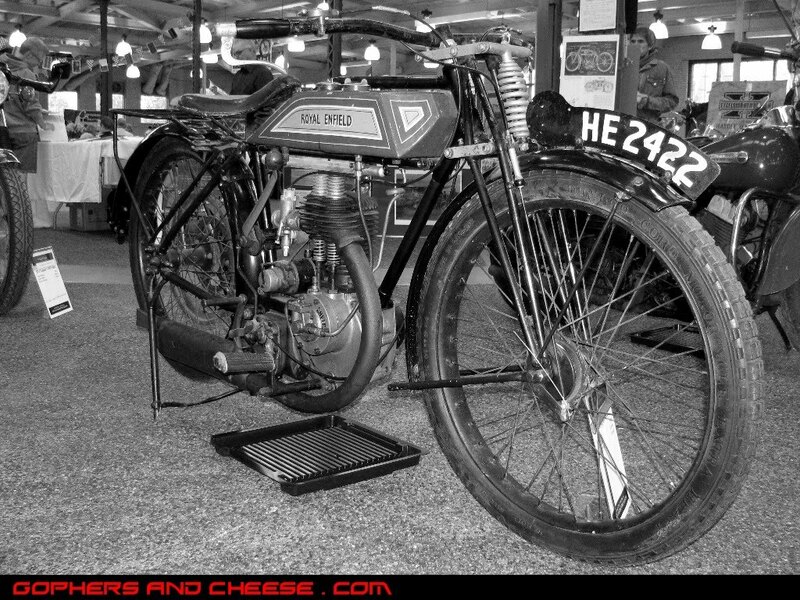 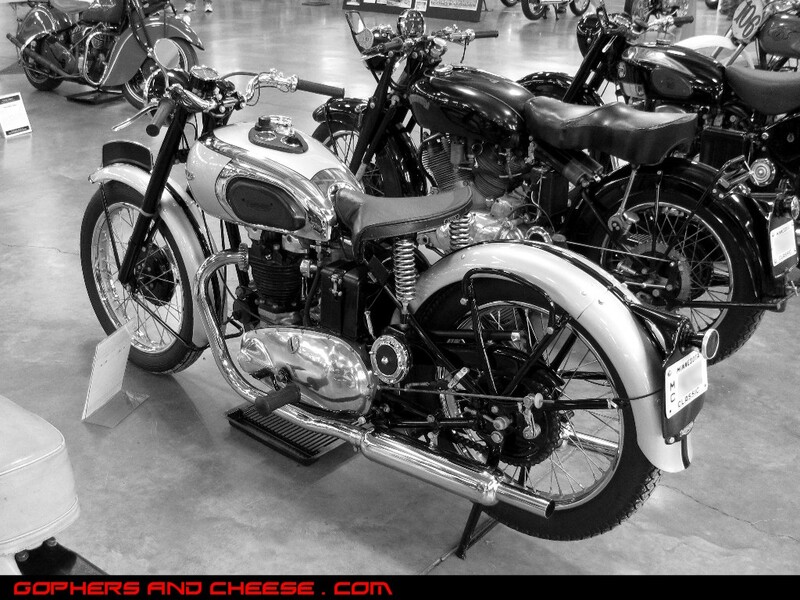 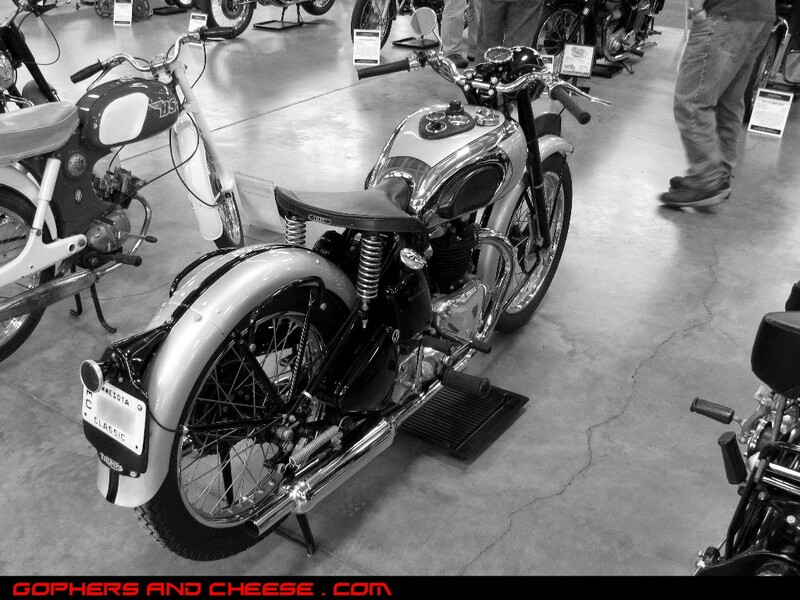 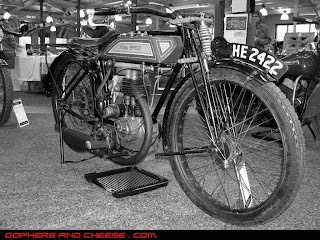 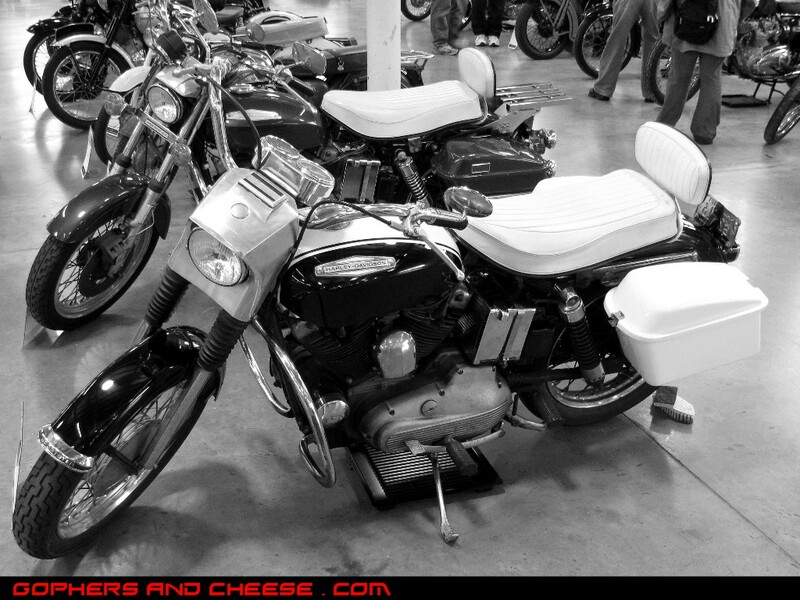 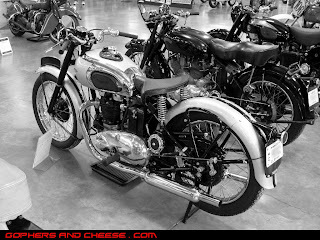 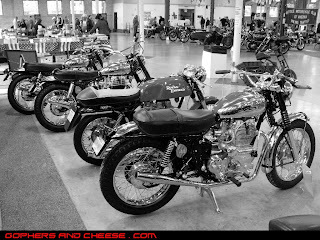 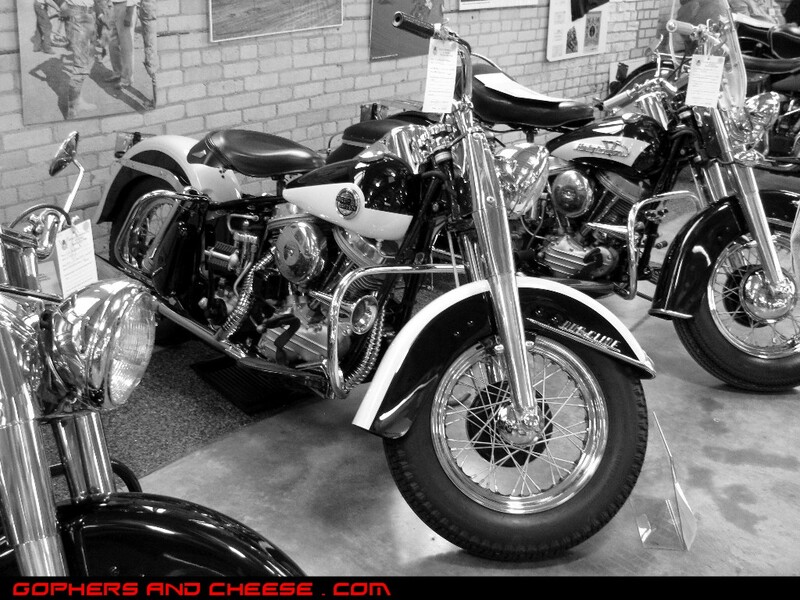 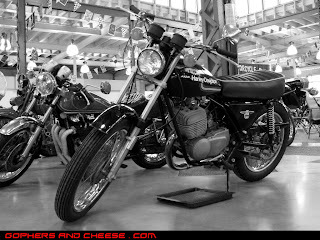 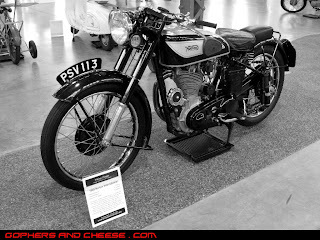 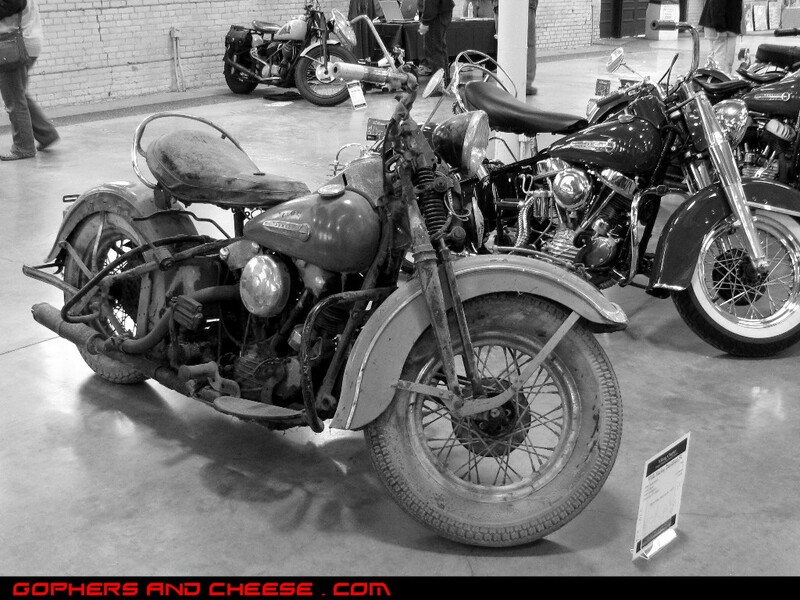 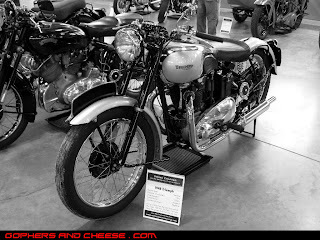 More pics from the 2010 Vintage Motorcycle Show, this time featuring some of the British brands. 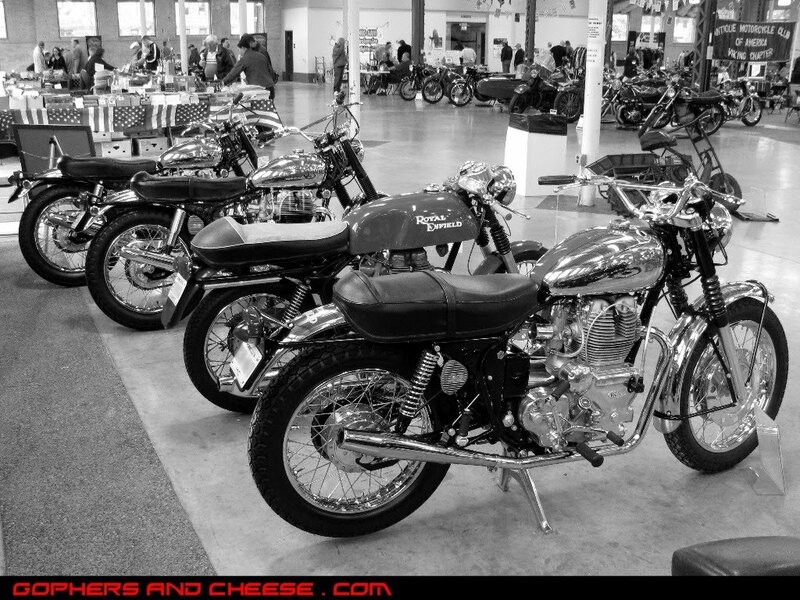 I often try to get pictures with the signs showing the year and model whenever possible so I can identify the bikes later but clearly I missed a few in this bunch. 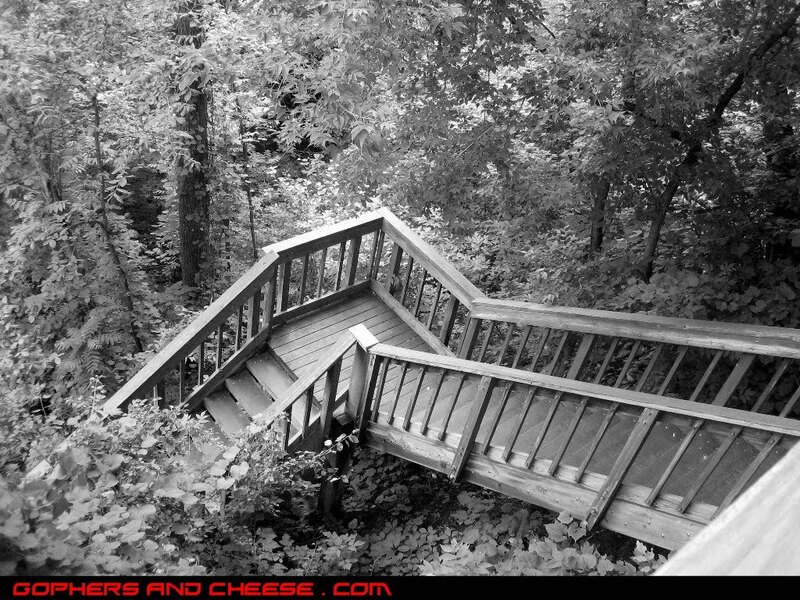 Enjoy the pics anyway. 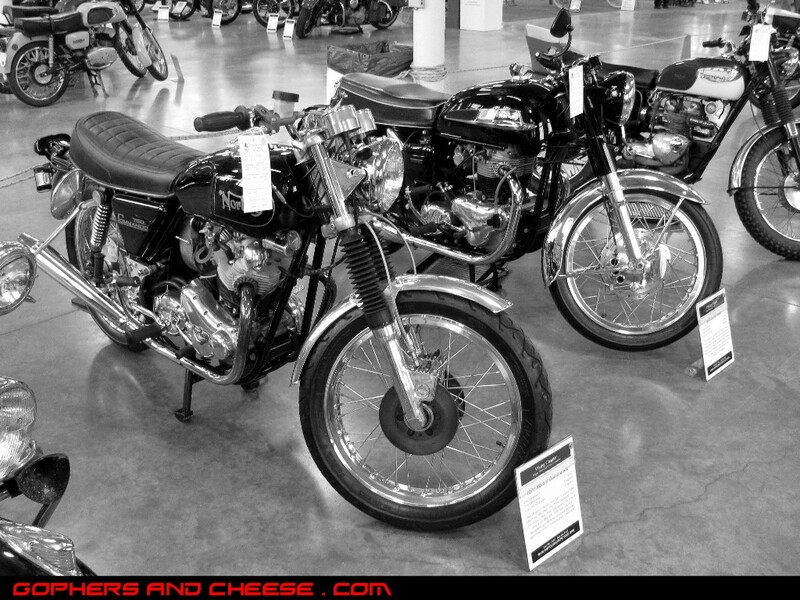 1971 Norton Commando (left). 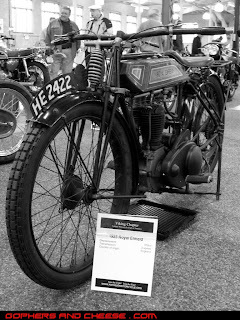 I am not sure of the year of the Norton behind it. 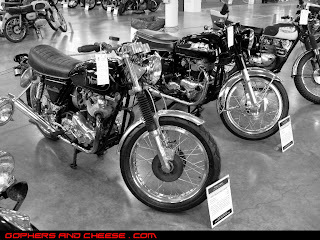 1975 Norton 850 Commando (left). 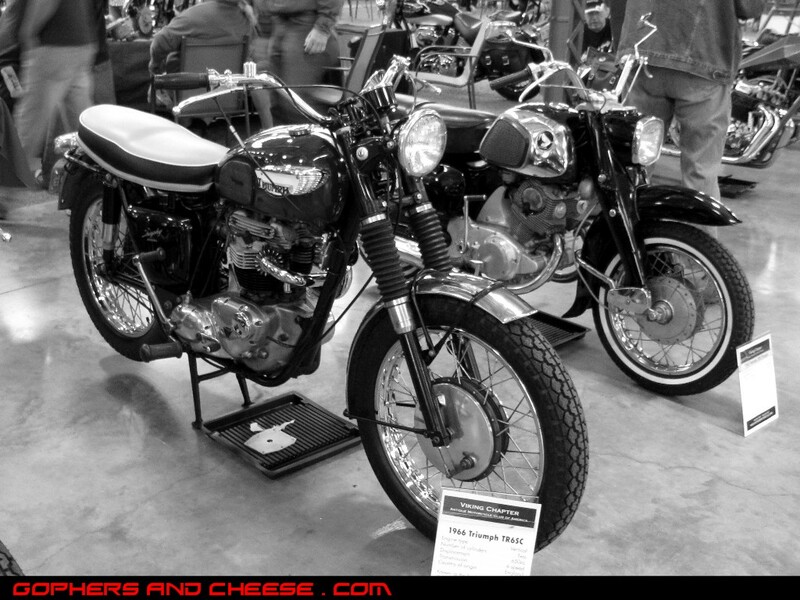 I am not sure of the year of the Triumph behind it. 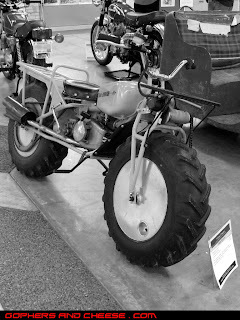 Another Triumph (unsure of year). 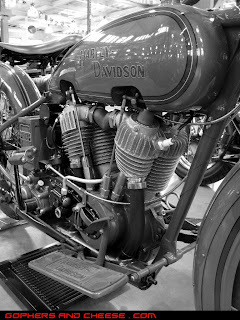 Black custom pipes were interesting. 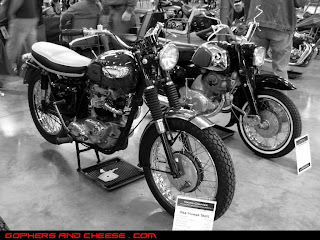 I really liked the tank on this Triumph - it was black and orange and the orange really stood out. 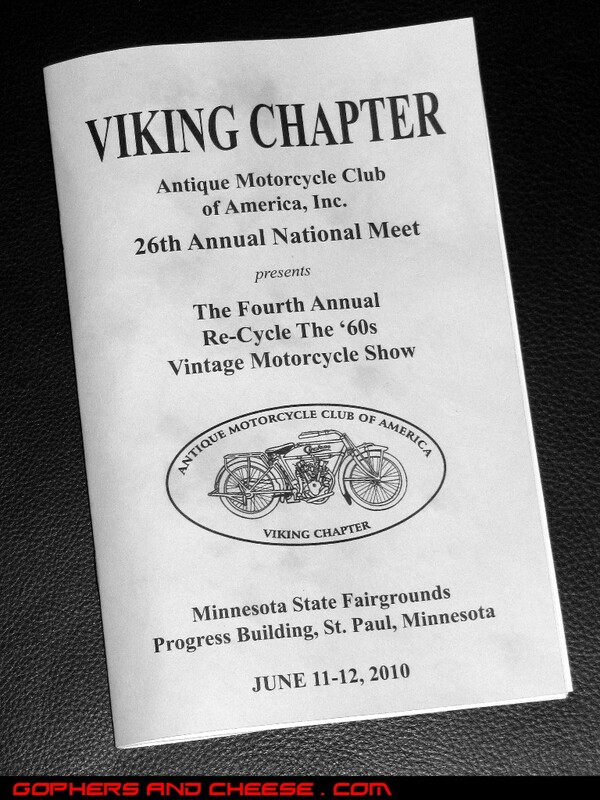 It's another where I'm not sure of the year. 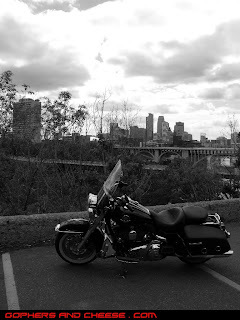 I took the Road King down to West River Parkway just south of Broadway Ave. 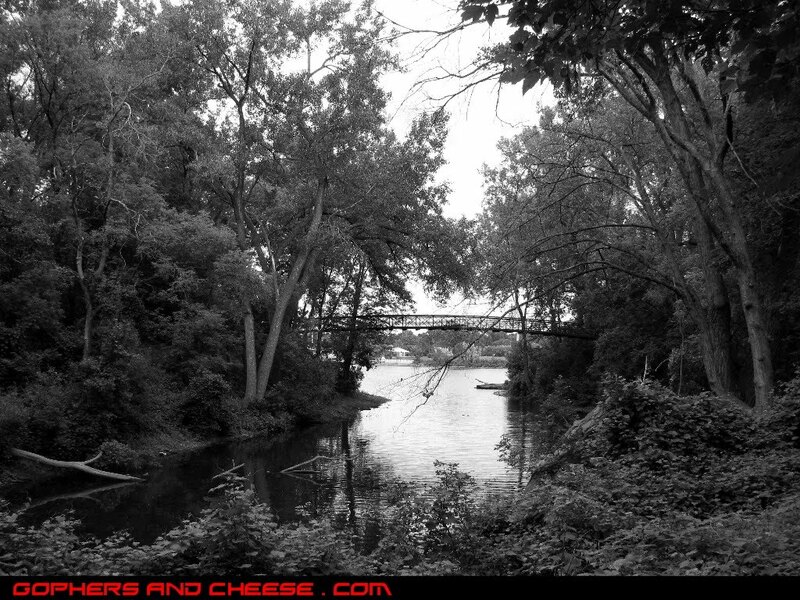 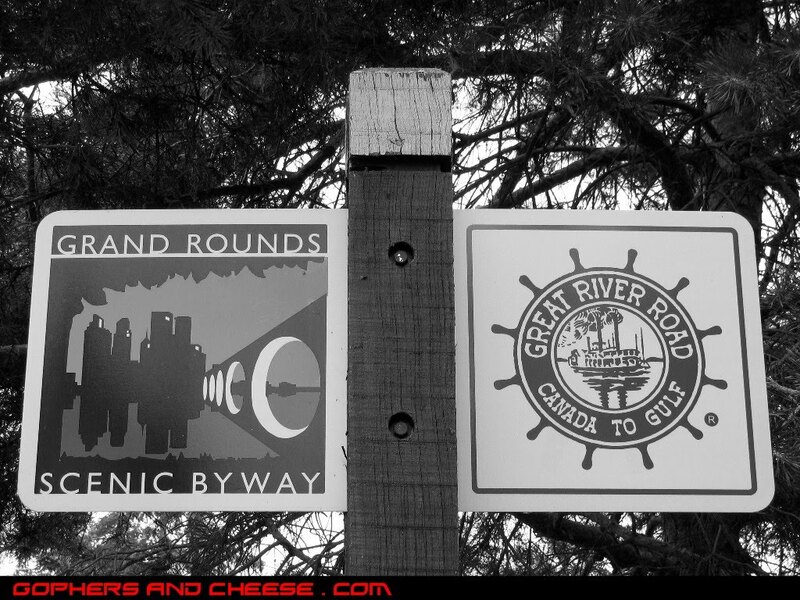 There are lots of places to stop all along the river but I stopped at the park near Plymouth Ave N and West River Pkwy and walked around. It's small but there are some cool trails and bridges in the woods to discover. 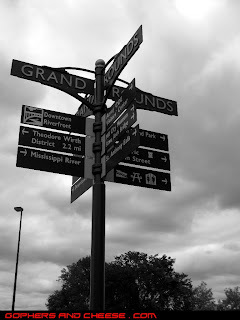 I crossed over to the east side of the river and explored East River Parkway and South Mississippi River Blvd all the way down to MN-5 by Fort Snelling. 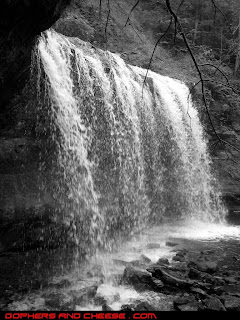 I stopped and walked around Hidden Falls Regional Park but couldn't find the falls (hence the name, I guess). The pics below were taken around the University of Minnesota campus. 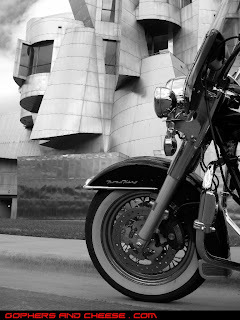 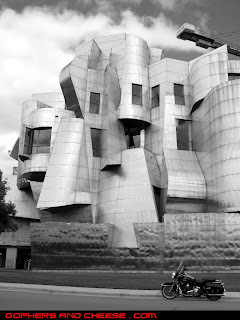 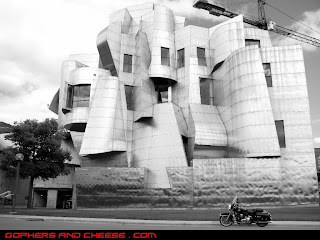 I got some great pictures in front of the Weisman Art Museum and a few looking across the river back at Minneapolis. 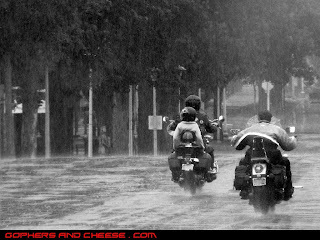 It has been cloudy and rainy here. 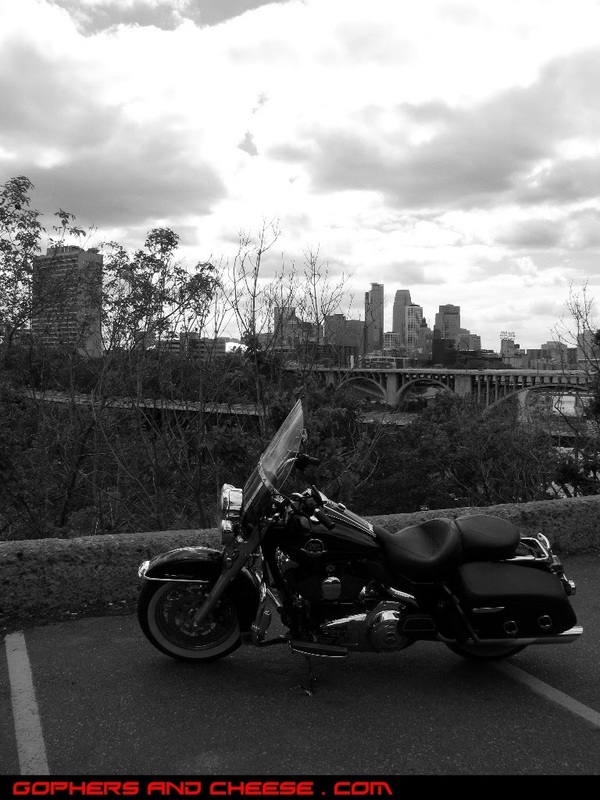 Yesterday was one of the nicest days in a while. 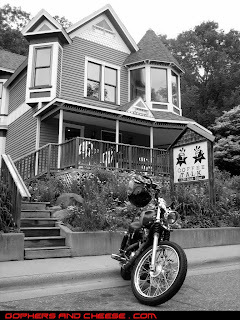 I went for an evening ride and stopped at Bob's. 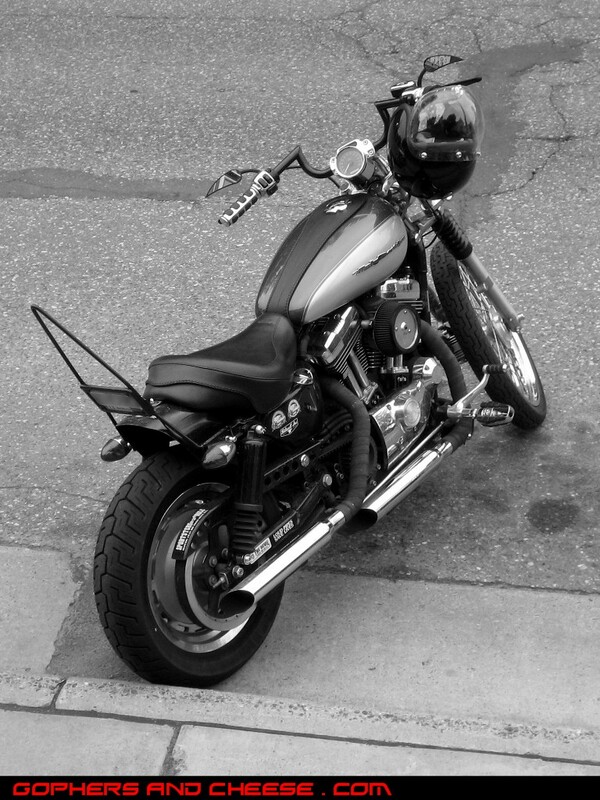 I was talking to another Sportster rider who asked the year of my bike (2004) and how many miles I had on it. 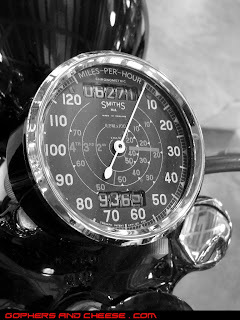 I said, "27,000," and, without even a pause, he said, "you work too much." I loved that response. 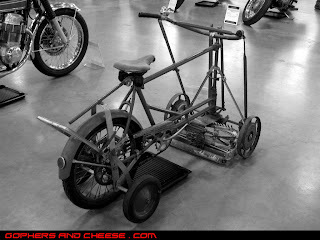 I didn't mention the fact that I had another bike but I don't think the combined mileage would have mattered. 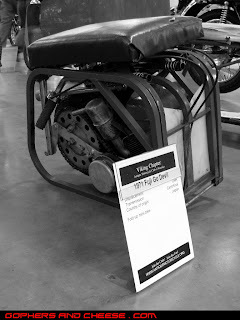 I wish I could remember the number but he said he had somewhere between 100,000-200,000 miles on his. I think it was closer to 200K. 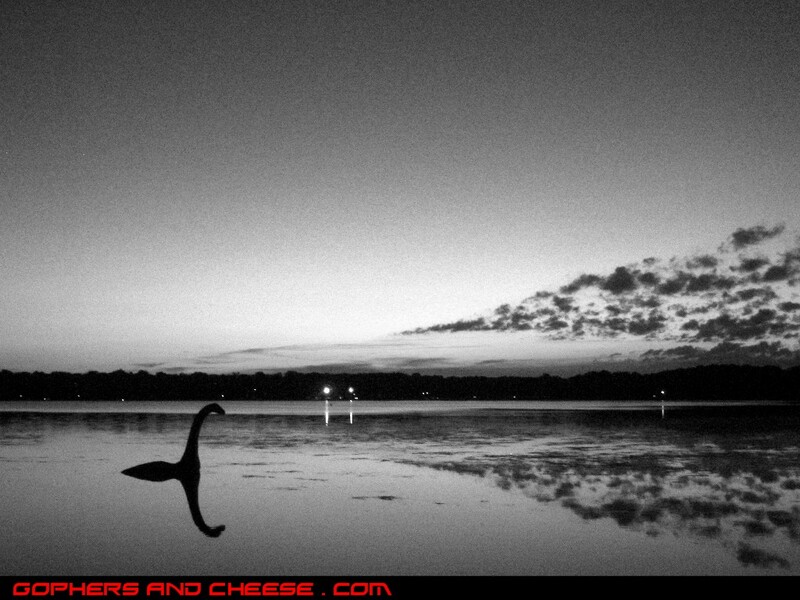 The weather was so nice that I decided to take a spin around the lakes. 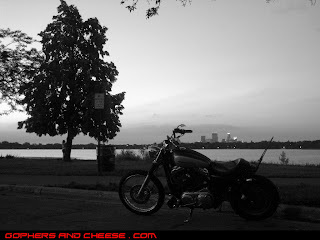 I cut over to Lake Calhoun and rode around the lake. The sun had just set but the sky was still light and had shades of orange and blue. Here's a shot in front of Lake Calhoun with Minneapolis in the distance. 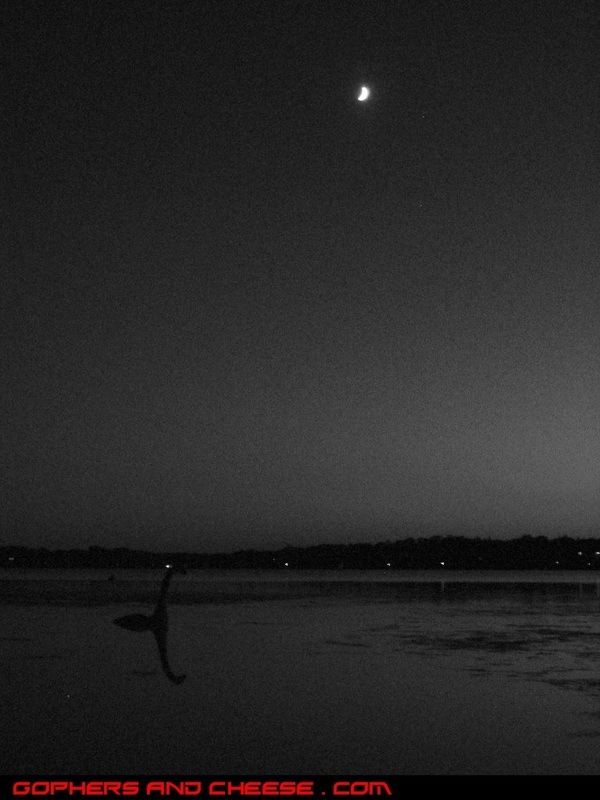 I didn't have much of a plan and decided to ride around neighboring Lake Harriet too. 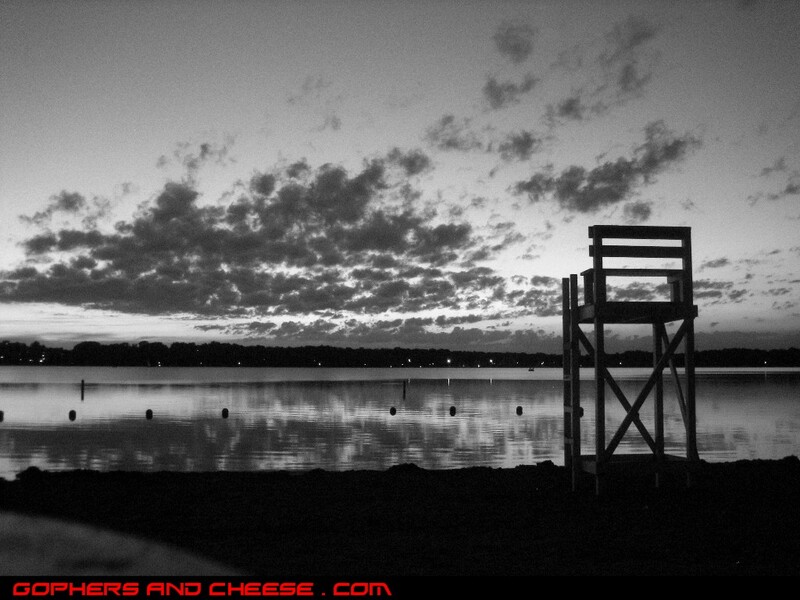 The sky was beautiful and the foreground was silhouetted against it. 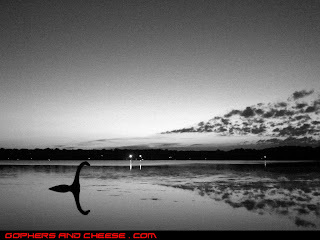 Riding along, the last thing I expected to see in the lake was this. 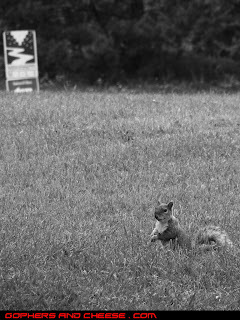 I had to find a place to park so I could walk back and take some pics. 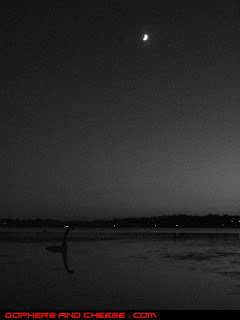 The lake creature's name is Minne and you can learn about her here. Quite possibly my favorite bike at this year's AMCA Vintage Motorcycle show was this silver 1948 Triumph Tiger T100. It was awesome, especially the gauges. 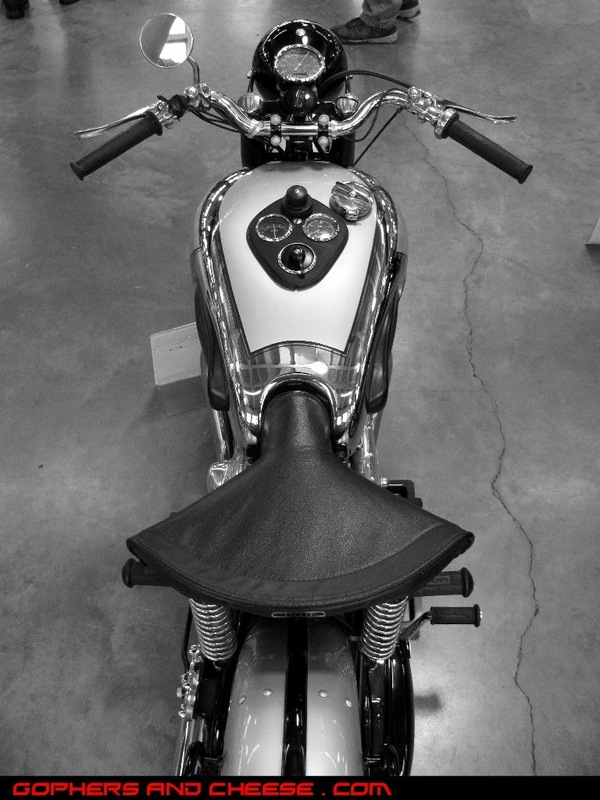 I love the speedo. 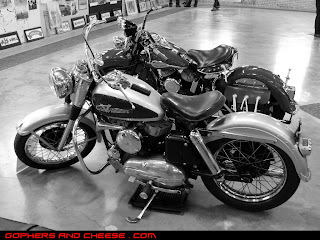 Just for fun, here are some of the more unusual vehicles on display this past weekend at the AMCA Vintage Motorcycle Show. This is a 1950 Happy Traveler. 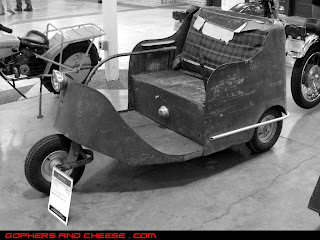 It is an electric vehicle, apparently once used at an amusement park. This 1971 Fuji Go Devil fold-up mini bike reminded me of Wall-E. 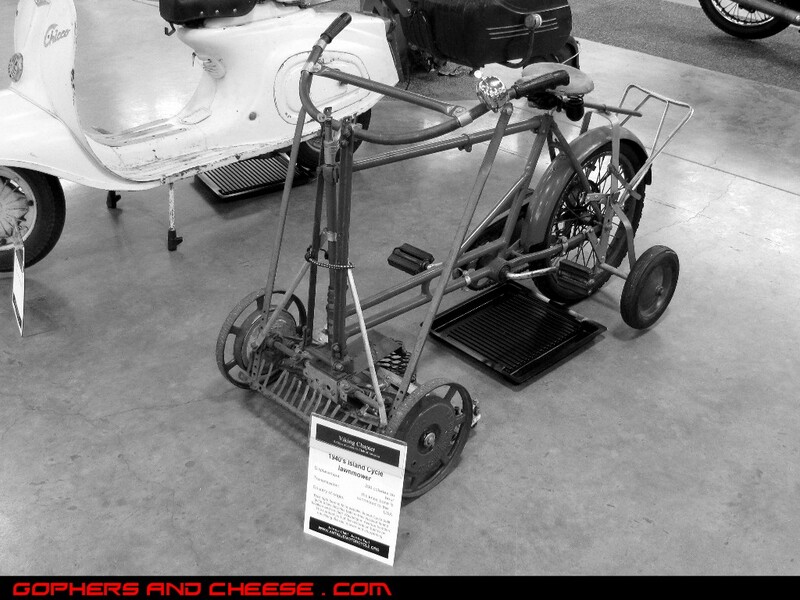 While it wasn't motor-powered, this was possibly the strangest vehicle at the show, a 1940s Island Cycle lawnmower, built in Minneapolis. The drip pan is a nice touch. It was very cloudy today but the rain seemed to be staying south. I met up with a friend and headed north on I-35 to US-8 and then east to Taylors Falls, MN. 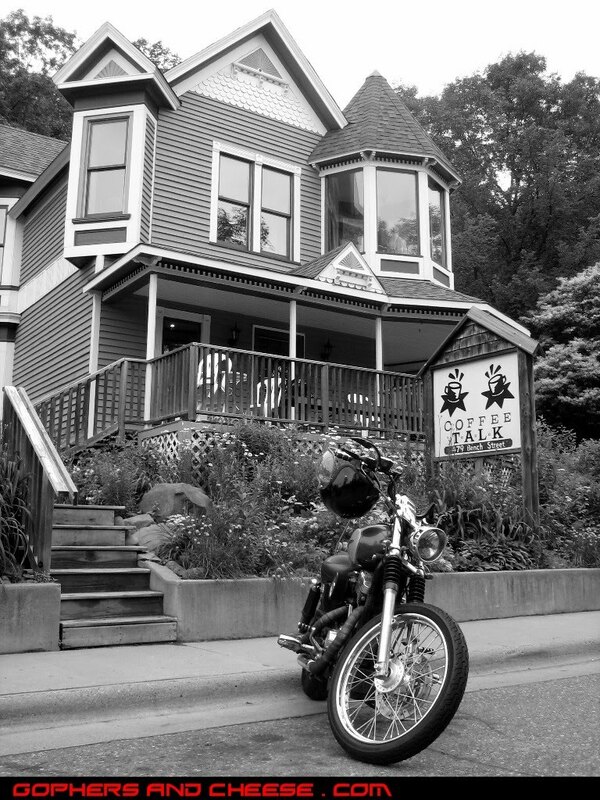 We stopped for coffee at Coffee Talk, which is a great little coffee shop. Here's a pic looking down at my bike. I had the bubble shield attached in case of rain. 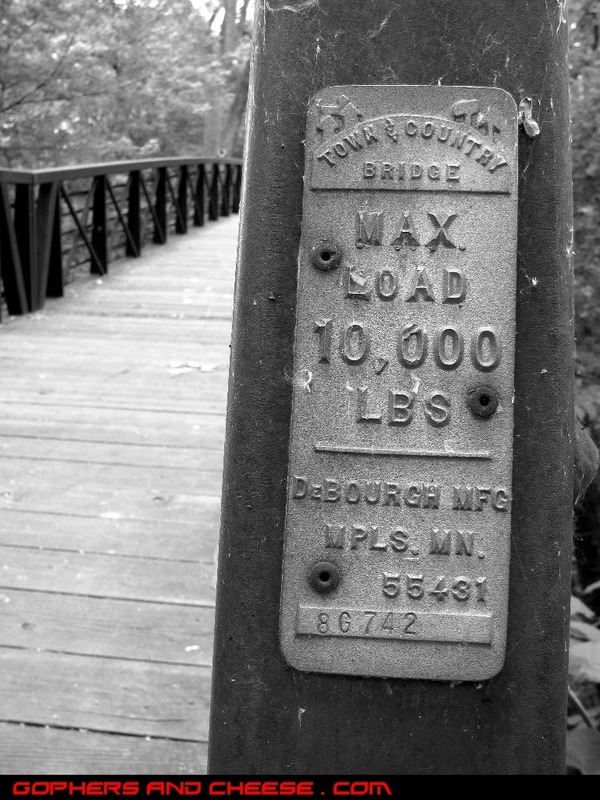 We crossed into Wisconsin and headed south on WI-35. 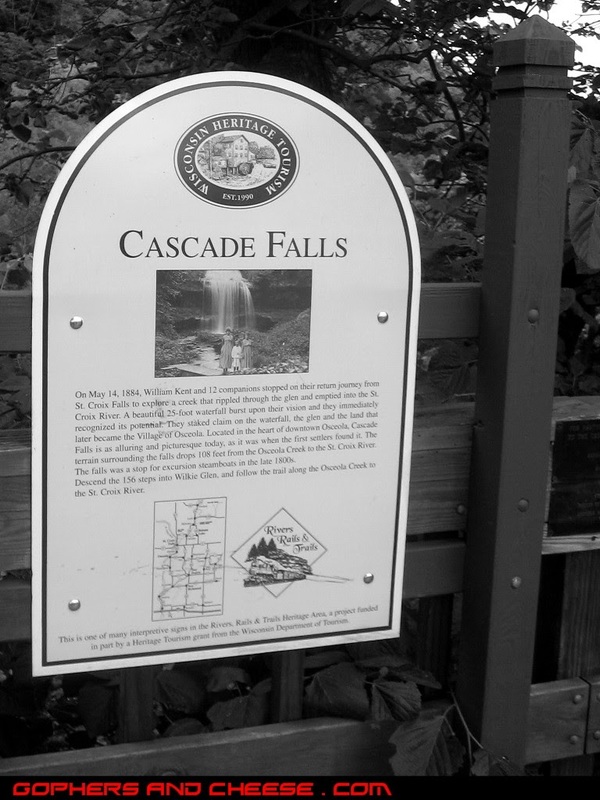 We stopped in Osceola, WI. 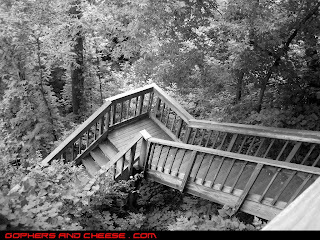 We headed down these wooden stairs to Cascade Falls (there were a lot of stairs). 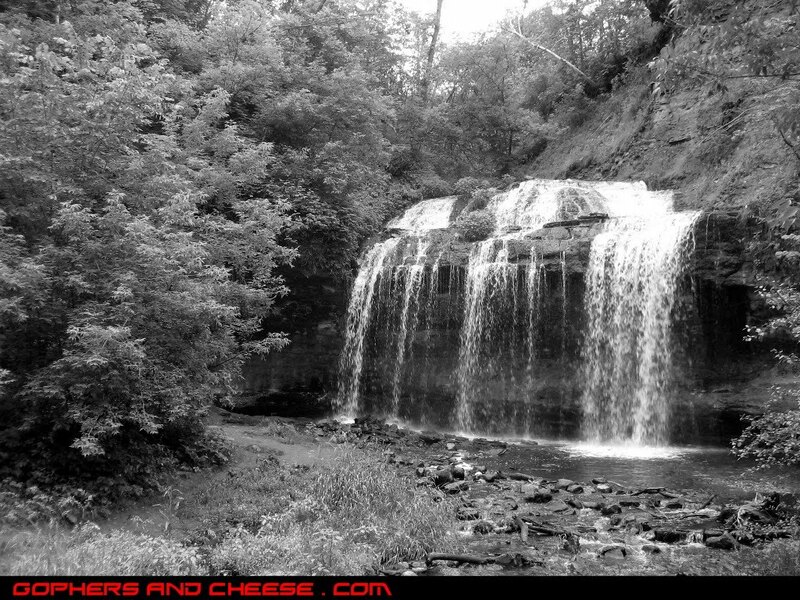 It was the first time I had seen these falls and it was cool because you could walk right up to them and even walk behind them, which I did. 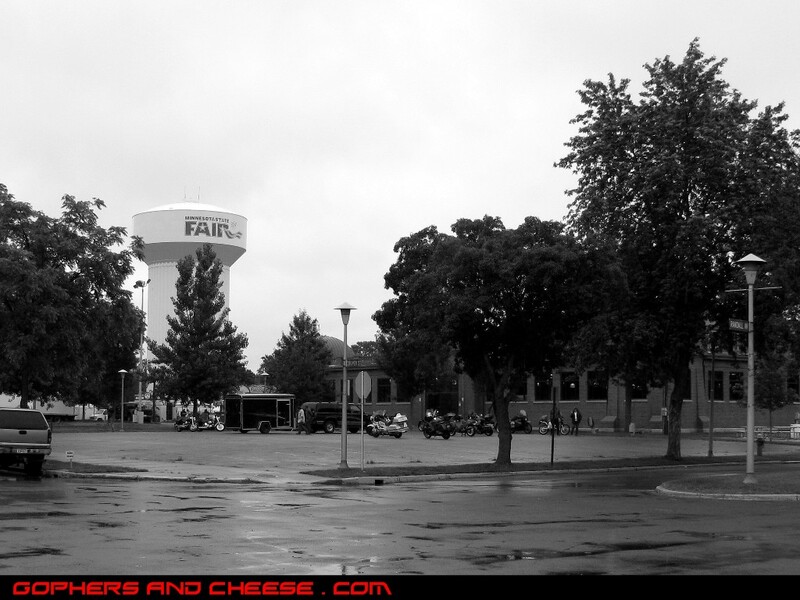 We headed south and crossed back into Minnesota in Stillwater, stopped at PD Pappy's and headed our separate ways. 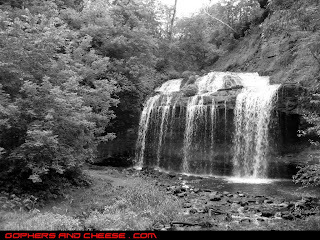 Here's an action shot somewhere in Wisconsin. 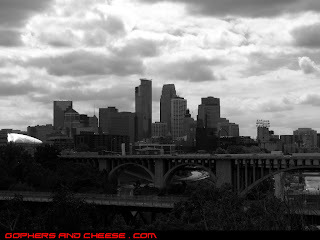 It was a very cloudy and rainy day here in the Twin Cities. 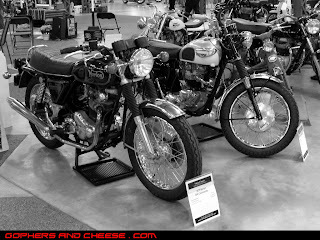 I went to the 26th Annual AMCA Vintage Motorcycle Show at the State Fairgrounds in St. Paul this morning and took a ton of pics. 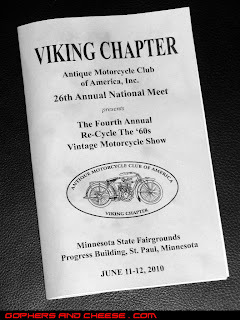 I'll share some of them over a series of posts. 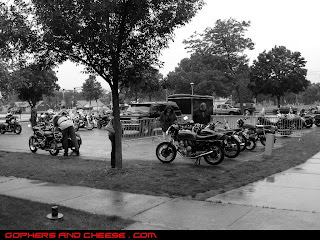 The parking lot is usually full of interesting bikes that people ride to the show but unfortunately the weather kept most away. Thankfully, a few cool bikes showed up in spite of the poor weather. 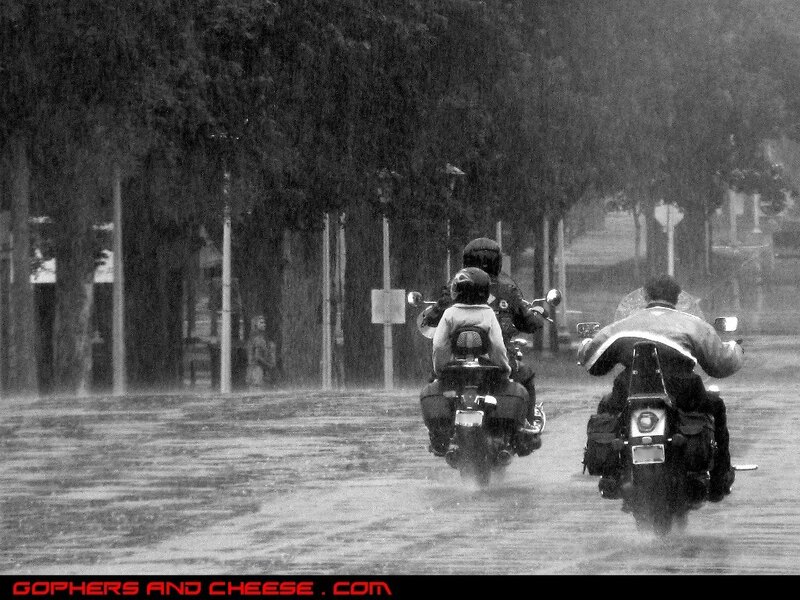 What's more impressive than riding to the show in the pouring rain?... 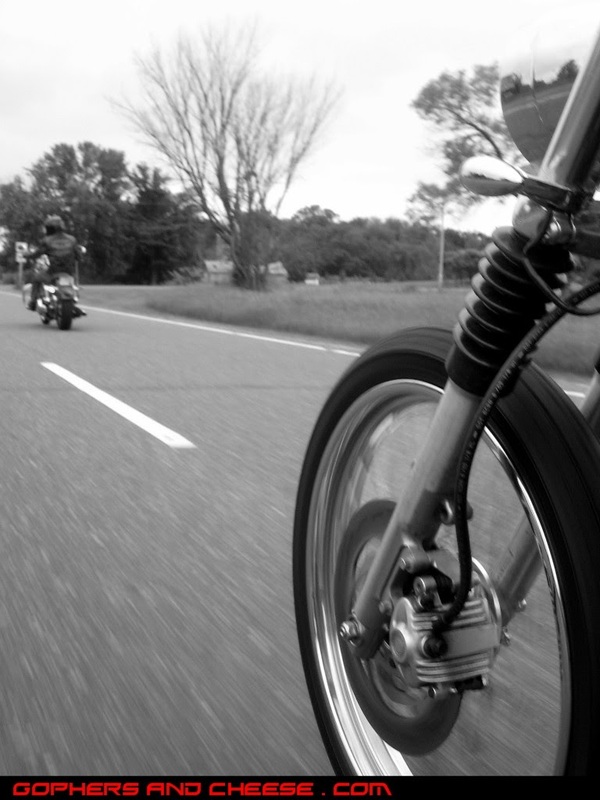 riding with your kid on the back.